Overnight... Partly cloudy, with a low around 42. North wind around 6 mph. Tuesday... Partly sunny, with a high near 63. Light and variable wind becoming east around 6 mph in the afternoon. Tuesday Night... Rain, mainly after 11pm. Low around 42. Southeast wind 10 to 13 mph, with gusts as high as 25 mph. Chance of precipitation is 80%. New precipitation amounts between a tenth and quarter of an inch possible. Wednesday... Showers likely, mainly before 10am. Cloudy, with a high near 51. South wind 7 to 9 mph becoming west in the afternoon. Chance of precipitation is 60%. New precipitation amounts between a tenth and quarter of an inch possible. Wednesday Night... A 50 percent chance of showers before midnight. Mostly cloudy, with a low around 36. West wind 8 to 10 mph. New precipitation amounts of less than a tenth of an inch possible. Thursday... Partly sunny, with a high near 57. Northwest wind 5 to 8 mph. Thursday Night... A 30 percent chance of showers. Mostly cloudy, with a low around 39. Calm wind. Friday... Showers likely. Cloudy, with a high near 54. Light south wind. Chance of precipitation is 60%. Friday Night... Rain showers likely before 5am, then rain and snow showers likely. Mostly cloudy, with a low around 36. 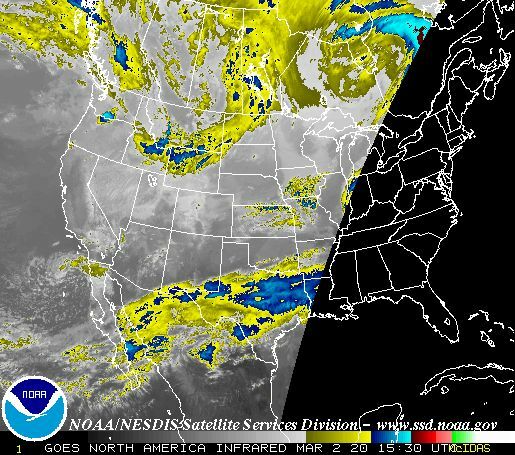 Light west wind increasing to 5 to 9 mph in the evening. Chance of precipitation is 60%. Saturday... Snow showers likely, possibly mixed with rain before 7am, then a chance of rain showers. Partly sunny, with a high near 46. 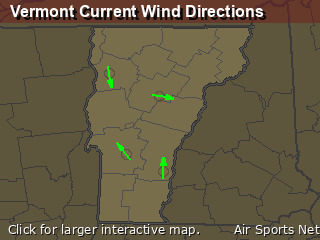 Northwest wind 11 to 14 mph, with gusts as high as 25 mph. Chance of precipitation is 60%. Saturday Night... Mostly cloudy, with a low around 32. Northwest wind 5 to 10 mph becoming light after midnight. Sunday... A 40 percent chance of showers. Partly sunny, with a high near 50. Southwest wind around 6 mph. Sunday Night... A chance of rain and snow showers. Mostly cloudy, with a low around 35. West wind 3 to 6 mph. Chance of precipitation is 30%. Monday... A 30 percent chance of snow showers. Partly sunny, with a high near 50. 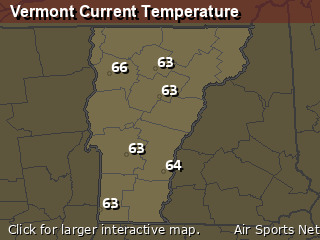 Northwest wind 6 to 8 mph.